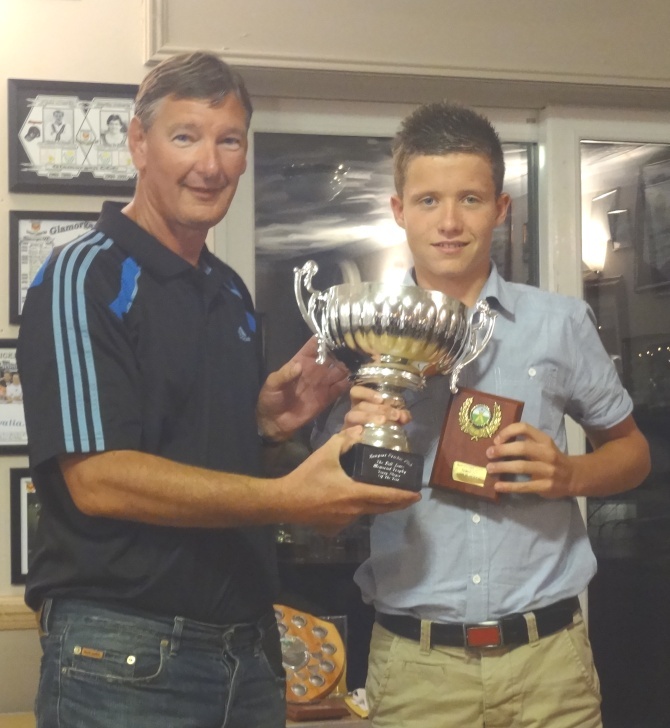 at the Annual Presentation of Awards Evening held at the club recently. business began with the Awards Evening. figures of 5-35 against Sully. 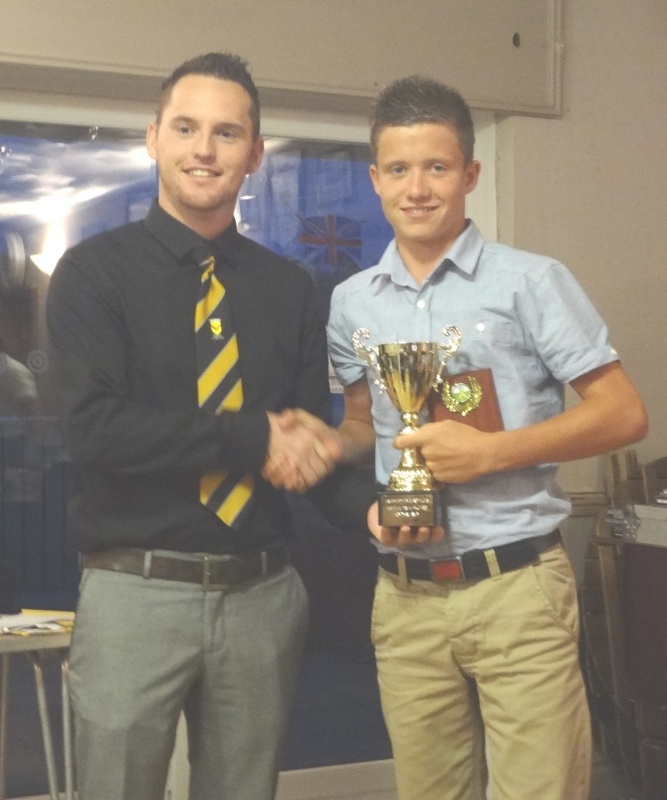 Harry Receives the Player of the Year Award from Captain, Gary Wood. and one cancelled, but the transformation was just around the corner. at an average of 68.6 and Tom Cleeve 313 runs at an average of 62.6 all performing admirably. However, it was another young player, Scott Thornton who took the limelight. finished top of the South Wales Premier League (Reserve Division) Batting and Bowling Averages. 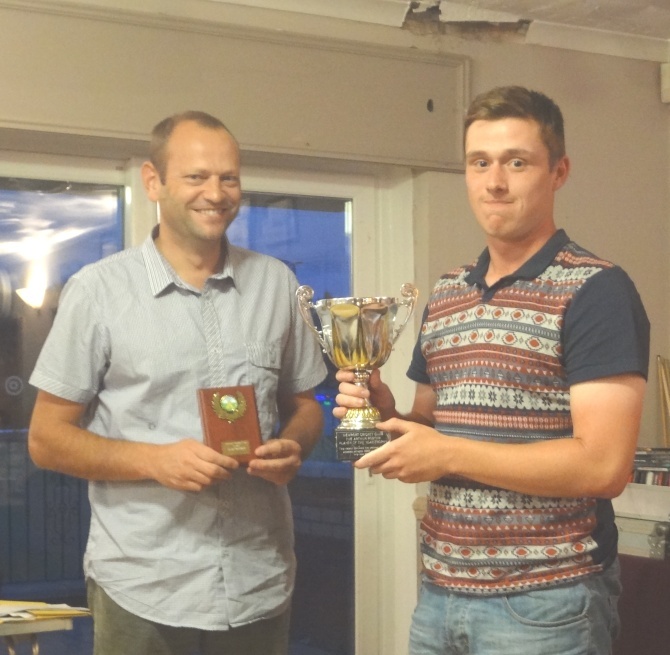 Scott Receives the 2nd X1 Player of the Year Award from Captain, Phil MacLean. Conference (Division 3). A fine achievement! However, it was Joe's wish that the young players in the team should gain the glory, with Dave Cook excelling. Dave played several games in the 2nd X1 and was always available to play in whatever team he was chosen for. best figures of 4-40 against Ton Pentre. 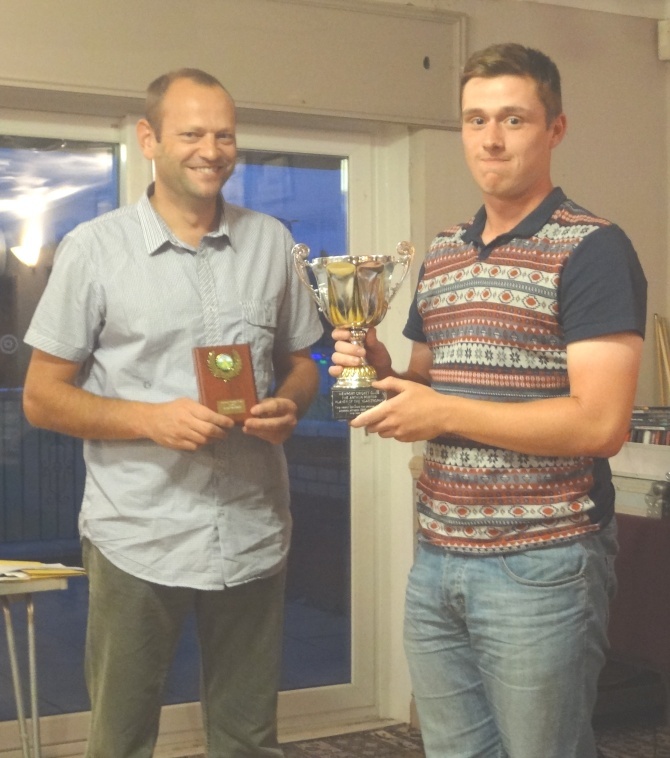 Dave Receives the 3rd X1 Player of the Year Award from Captain, Joe Thompson. 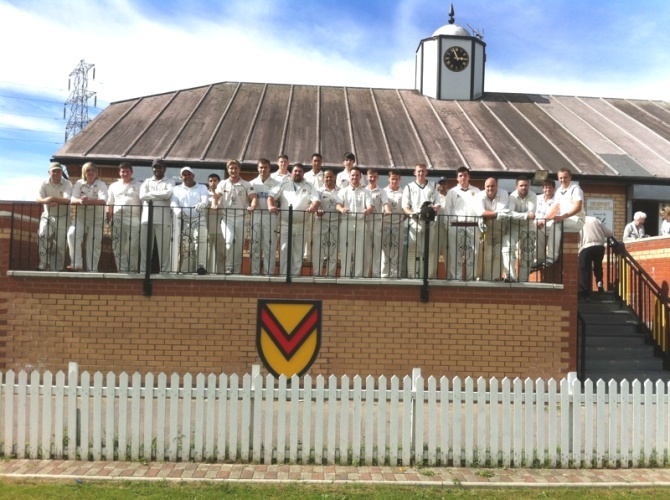 Runners Up in the Welsh Cricket Conference (Division 6). A great season! Alex, always took on the reins admirably. average of 54.09 and best score of 155no v Panteg, but it was Talah Ubaid who really took the accolades. best figures of 4-19 against Bridgend, to rightfully claim the 4th X1 Player of the Year Award. 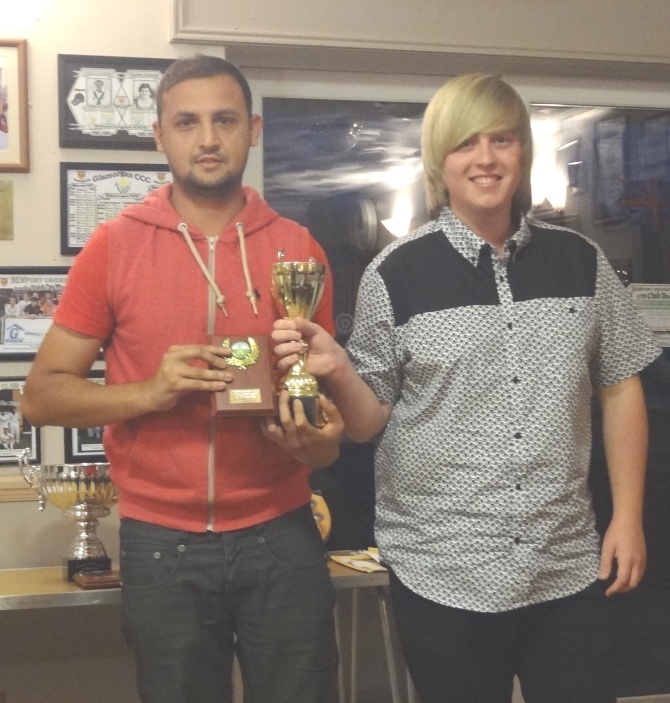 Talah Receives the 4th X1 Player of the Year Award from Vice Captain, Alex Davies. It was not only Scott's Senior performances that caught the eye, but also his junior performances. 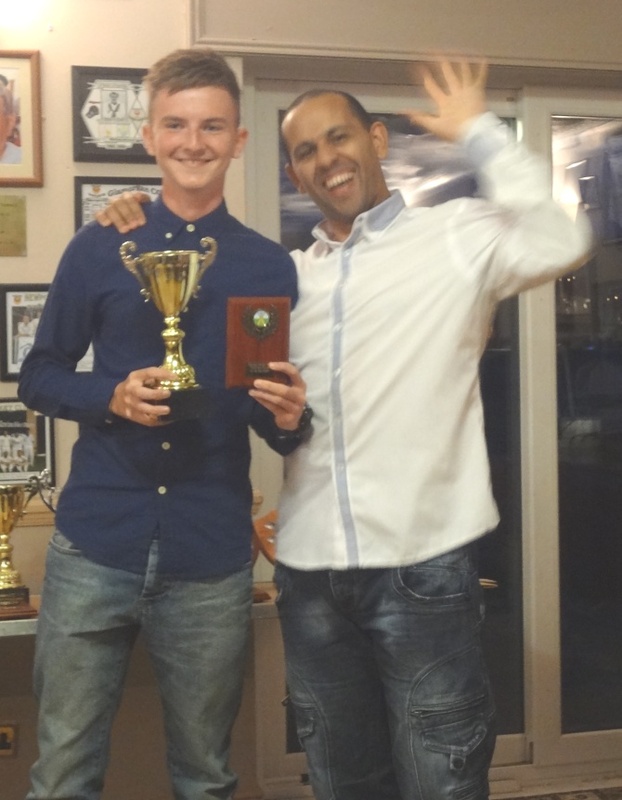 Well done Scott on a memorable 2013 season. One to watch for the future! from Club Coach, Mike Knight. one of the clubs MVP's (Most Valuable Player)! 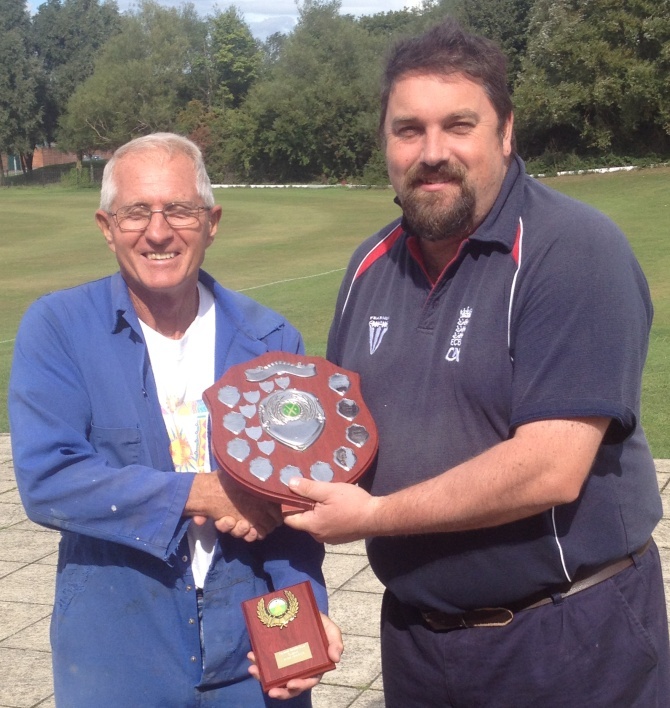 Ray Receives the Clubman of the Year Award from Club Chairman, Paul Morris. as a Training Base during the ICC Champions Trophy earlier in the season. There were a host of unsung heroes throughout the season who contributed to the success the club experienced. grounds were always immaculate and seem to be getting better and better! Thanks to all who gave up their time and contributed to the 2013 season.